When Doreen Virtue visited Santorini Island in Greece recently, she was contacted by a powerful group of angels calling themselves the "angels of Atlantis." Doreen was then taken on an amazing spiritual adventure, where she uncovered the ancient secrets of the healing temples of the lost civilizations of Atlantis. Doreen found that her previous healing work with the angels, as well as the thousands of case studies of angelic healing that she’d amassed over the years, dovetailed perfectly with the messages from the angels of Atlantis. 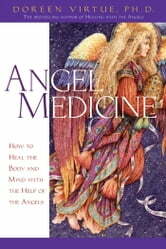 Part spiritual adventure story and part reference book, Angel Medicine is a three-part work that relates the exciting story of Doreen’s recovery of memories of Atlantean healing methods along with messages from the Egyptian and Greek prophet and deity Hermes and the angels. The second and third parts of the book reveal the scientific studies, case studies, methods, and charts supporting the importance of love and light in healing. 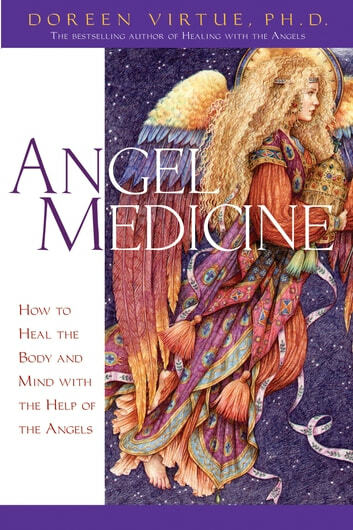 Whether you want to heal yourself or someone else, you’re sure to gain additional faith and understanding from reading Angel Medicine.